I was looking for a business coach but knew I needed more than just coaching on “business.” I knew I had some limiting beliefs buried inside me that I needed to dig up to help me create the life I wanted (in my body and in my business). This is when I connected with Leisa Peterson. Leisa Peterson is a money and business coach who helps conscious entrepreneurs fall in love with money. She combines her skills of being a long-time entrepreneur and self-made millionaire with over 20 years of working in personal finance. 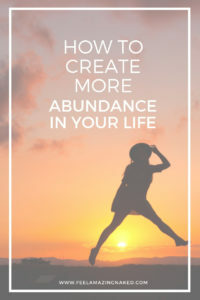 Then mixes in mindfulness practices, EFT, past life regression and other healing modalities to help clients reconnect to their true selves while removing their limiting beliefs around money. She’s been featured in the Wall Street Journal, Huffington Post, FastCompany, as well as the guest on many radio shows and podcasts. 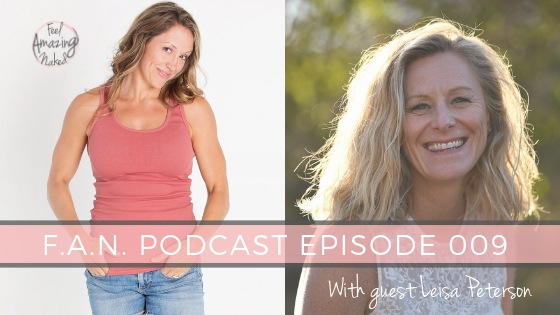 Leisa is passionate about exposing the fallacy of lack in our culture whilst encouraging the pursuit of abundance and prosperity through her podcast, Art of Abundance. Leisa has helped me understand and use vocabulary surrounding limiting thoughts and behaviors. Self-limiting behaviors prevent you from being who you really are. You are so afraid that there isn’t enough that you have to pretend sometimes in order to be the winner. Abundant minds know that there is plenty of fish in the sea. They think big instead of small. They are willing to admit fault and take responsibility for their actions. They are willing to say they don’t know and be a beginner. Abundant thinkers celebrate the success of others and know their worth isn’t less because of another person’s success. They also feel they are designing their own life every single day. Lesia’s Infinite Abundance Program has created a powerful transformation for me. I highly recommend you check it out HERE. Commit to it and big things will happen and shift for you.